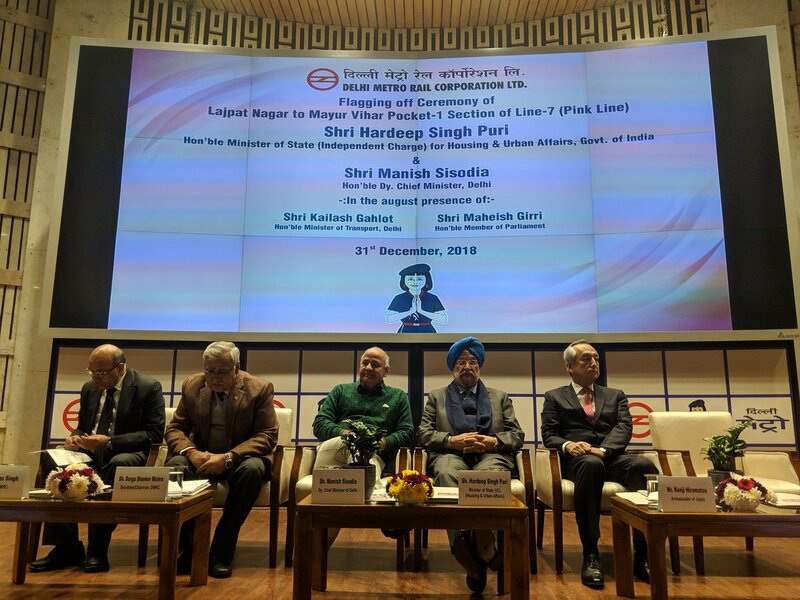 The Lajpat Nagar – Mayur Vihar Pocket 1 Metro section of Delhi Metro’s Pink Line was flagged off today for passenger operations by Sh. 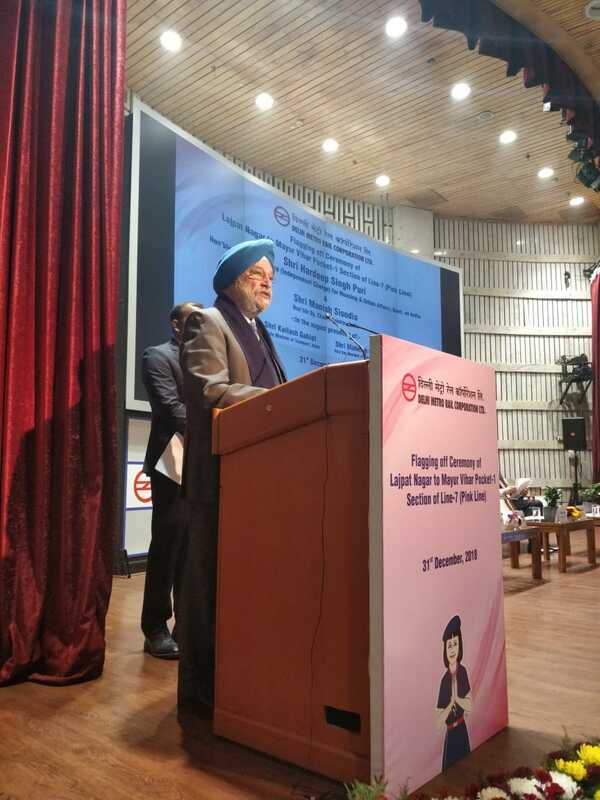 Hardeep Singh Puri, Hon’ble Minister of State (Independent Charge), Housing and Urban Affairs and Sh. Manish Sisodia, Deputy Chief Minister of Delhi in the presence of Japan’s Ambassador to India, His Excellency Sh. Kenji Hiramatsu and Secretary, Ministry of Housing and Urban Affairs, Sh. Durga Shanker Mishra. This is the 7th section of the Delhi Metro to be opened for passenger operations in 2018. This year, Delhi Metro has opened 96 kilometres of new sections. Along with many localities of Delhi, the Metro also reached parts of Bahadurgarh and Ballabhgarh in Haryana this year. Appreciating the Delhi Metro for its stupendous achievement, Sh. Puri said, “96 kilometres of new lines have been made operational this year. Now both Ring Road and Outer Ring Road are connected by the Metro which will have a major positive and beneficial impact in so far as traffic decongestion is concerned”. With the opening of this section, the Delhi Metro network has now become 327 kilometres long with 236 stations.